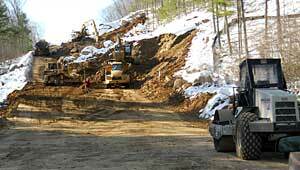 We have the necessary expertise and equipment to successfully handle any road construction project. Marois Brothers, Inc. provides turnkey service for all your roadway work needs. We provide clearing, grading, and utility installation services plus finish paving, striping, and sidewalk installation services to complete your roadway construction project.